As music legend Morrissey nears the end of his Japanese tour, the former Smiths frontman is joining the international outcry against the Australian wool industry’s abuse of sheep. The singer has fired off a letter on behalf of PETA Asia to the president of Tokyo-based international clothing retailer Uniqlo to ask that the company follow the lead of Muji and other compassionate companies and stop using wool from Australian farmers who mutilate sheep in a practice called “mulesing,” in which large chunks of skin and flesh are cut from lambs’ backsides in a crude and cruel – and often ineffective – attempt to prevent maggot infestation. 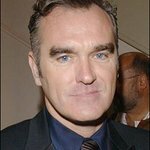 As Morrissey explains in the letter, mulesing often results in the maggot infestation that it aims to prevent, as the gaping, bloody wounds often become infested with maggots before they have time to heal. Humane methods of prevention are widely available and already in use by some sheep farmers. In addition to Muji, the many international companies that have moved away from wool from mulesed sheep include H&M, HUGO BOSS, Abercrombie & Fitch, Timberland, Giordano, Gap Inc., Talbots, and Korean retail giant Kukdong Corporation. And China’s Sunshine Group, which is Australia’s largest wool buyer, has demanded that Australian wool farmers put an end to the practice.